Nothing says sweet more than polka dots, pearls and florals! I don’t really go shopping in secondhand stores or ukay-ukays but I really want to visit one or two some day. 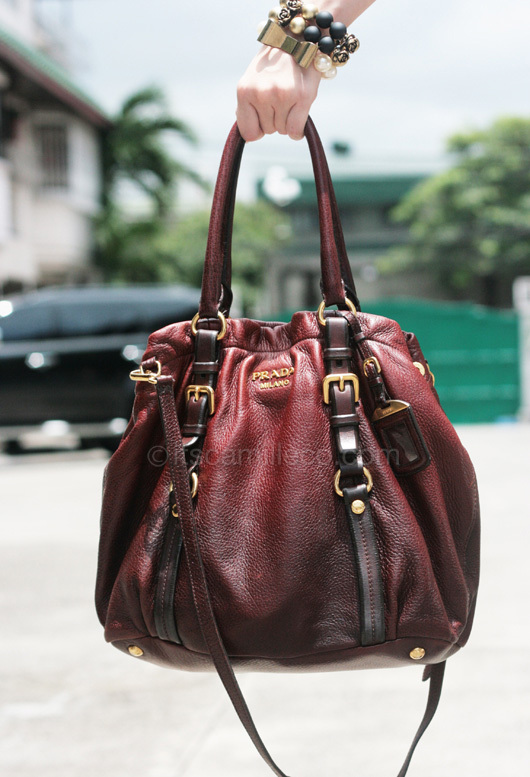 I heard there’s one in Tagaytay that offers a lot of great vintage finds and some more in Baguio. But until then, I’m sticking to vintage online stores! Thank you Shop Vintage Finds for this lovely polka dot dress! 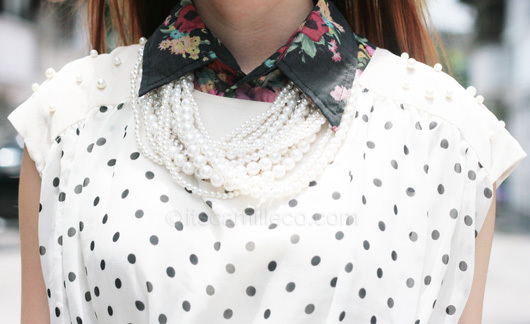 As if the polka dot print isn’t charming enough, there are pearls attached on the shoulder part as well. CUTE! I really went all out with the sweetness. I added more pearls and a touch of floral to push the look further. But just when you thought you’re about to get a sugar-high, I mixed in a few touches of black and a little studded surprise in my accessories to keep the look interesting.